To download, ‘right click’ on the version you prefer and then select ‘save as’ to save to a location on your computer. Print versions are designed to print on regular paper (8.5 in x 11 in), eBook versions are best suited for most electronic readers. Please help yourself and thank you for your visit. 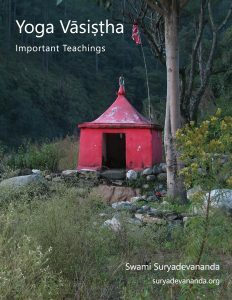 This is an updated and revised very compact version with focus on the important teachings of the great Sage. I have divided these essential verses of the Yoga Vasistha into four parts and included the prayer before reading before each of these four parts. These parts are not balanced in length but feel to contain tighter groups of teachings. The fourth part is longer than the other parts. This offering was not intended to be a book as such. I kept some notes on the main points covered in the video and expanded them a little so there could be a take-home in the form of a pdf handout to be released along with each video. I have received some feedback on culling these handouts into an eBook so with a little tweaking—here it is. I humbly offer this unto all who may feel it useful. The Yoga Vāsiṣṭha is a very important scripture for sincere seekers of the truth but perhaps not as well-known as some others. This scripture has many stories that are used to point to subtle truths which are generally hard to absorb theoretically—especially today, when political correctness imposes itself on direct communication. 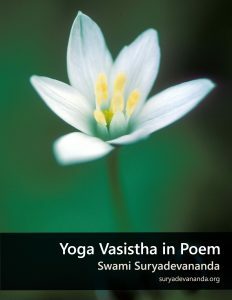 Swami Venkatesananda’s translations on the Yoga Vāsiṣṭha are the very best as only excessive descriptions in the story or redundancy is left out but the essentials are brought to light in very simple language. Here, I have chosen to focus on the important teachings communicated through the stories, without the stories or illustrations. This has its advantages and disadvantages. 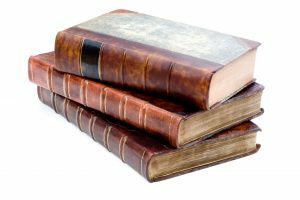 The reader may not get the background based on which or through which the teachings were communicated and it may also seem repetitive as some stories bring out teachings covered earlier so some overlap and redundancy was unavoidable. The advantage however falls to seekers who have been on the path for a while and are able to grasp the subtle but lofty truths without concern of redundancy. Vasistha makes it very clear that the problem is confusion of the real with the unreal or changing due to the seeming reality of its appearance. Life is the field where this takes place and life must also be the field where this is corrected. Meditation or practice sharpens the instrument which allows for a life where we deal with things as they are, without the interference of thought. This thins the mind and the mind and this thinned mind is ready for deeper meditation so one’s true nature can be seen. Life or activity and meditation or practice feed on each other in a cycle of ridding the mind of its impurities so one’s true nature can be seen. This is the task on hand and this mighty scripture is a blazing light on the path. The print friendly version has been set in two columns to save paper and reduce size. The eBook version is in one column with a smaller page size, formatted to work best with most readers. Usually, we strive towards something that is apart from ourselves. Here we are, and, there or that is what we would like to attain. What is attempted to attain is different from who we are in being. To put it simply, the ‘what’ which is to be attained is different from the ‘who’ or person who will attain it. ‘I’, will make effort to attain ‘that’ – I am here now and what is sought is not, but by correct and focused effort – its attainment seems possible. In this arrangement or field, all goals are within reach if one is ready to make the required effort. The person as such does not matter as much as the effort needed. What is to be attained, is somehow a result of the effort made towards its attainment. But here in sadhana, the focus is on ourselves – to remove all obstacles so one’s true nature can be seen. The uncompromising and unrelenting effort is on undoing the sense of ‘I’ or self while at the same time, focusing that freed-up sense of ‘I’ on knowing itself. We have come to equate success with results, giving importance to the result and largely ignoring the process. In spiritual practice, the effort itself blossoms as the sought. What we seek is already here and now, all our efforts are aimed at removing the obstacles we ourselves have constructed and sustain. We are not working towards something for the sense of ‘I’ or ‘me’ but, undoing the sense of ‘I’ or ‘me’. The difficulty lies in at once mustering and sustaining the level of sincerity needed to realize one’s true nature. Wholehearted practice has to be sustained by the fire of sincere aspiration and kept ablaze through the storms of old habit which gradually weaken by disuse. Existing likes and dislikes must be recycled so all energy is directed towards knowing the self, which at the same time weakens old habits. Spiritual effort is not towards an attainment of something new or non-existent now. What we seek is to know by direct experience our true nature which though here and now, eludes our vision due to the strong force of habits. This track of habitual ways was created and is sustained by our own selves. We are the makers and sustainers of the ties that bind and we must unmake and dissolve the very ties we have created to realize our true nature. To realize, means to make real – not conceptually but real so that there is no mistaking again. Towards this end, the great teacher Shankaracharya’s ‘Five Verses on Sadhana’ are most useful. Written in verse form originally, I have laid them out as individual instructions with some thoughts that I hope will inspire a framework for your practice. This series was intended to be a series of short practical essays on yoga but evolved into a video presentation with the very first one. It was felt that this format may make it easier to learn with the main points in video and audio at the same time. The rest in the series started off the same way with writing the main points to be covered and some detail but the audio recording gave room for expansion of content. I was freer on the audio and so it contained more than the text. Now, we have a fusion between the earlier text and the spoken word, now transcribed. Light editing was necessary to make this a stand-alone work without the video or audio or as a guide. The first talk has been broken-up into a small introduction on raja yoga, yama and niyama as separate topics to flow better in line with the eight limbs of yoga. 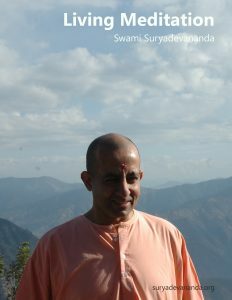 Asanas and pranayama have also separate topics in this version. Samadhi has not been dealt with in this series. At the very end, you will find the guided discussion in a user friendly format which will also be available on the website as a separate download. Yoga, spiritual life or religion is not coffee table discussion stuff but practice—and all of life is the mat of practice, not just the little prayer area or a room in some building. 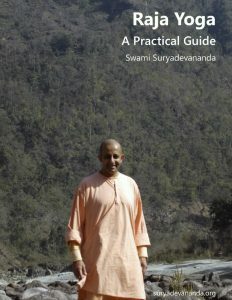 Swami Sivananda writes, “An ounce of practice is worth more than ten tons of theory”. This is intended as a practical guide, one to read now and practice now as you go along. Theory must give way to practice and practice to experience. Experience shapes understanding and checks habit. The mat of practice involves all of life, not just the sitting area. We must be able to sit inwardly or be steady while we are standing, walking and doing all that we do. This inward sitting is what yoga calls asana, not just an exercise posture. This inward sitting is something all can and should do as it removes impurities in the mind or habit and paves the way for one’s true nature to unfold. This double-sided single action is the purpose of yoga, religion, spirituality: the removal of impurities so one’s true nature can be seen. When spirituality enters life, life enters spirituality. Practice diligently. This series has two segments that flow into each other. The Path: This first segment is on the path ahead and four important markers. We start with sharpening the edge and use the field of life to do what needs to be done without the interference of thought. This weakens and exhausts conditioning and it becomes easier to realize our distinctness from thought in a way that lasts beyond the different practices. The inner center of gravity has now shifted from thought to consciousness and conditions are ripe for self-inquiry. Some Essentials: The second segment is on some essentials while on the path, first of all being a hunger for change which has to be one born of direct examination of things as they are and not unfavorable conditions. When the danger is clearly seen as within, consciousness or awareness is roused into action and empowered in an act of self-surrender or vigilance that itself keeps thought from interfering in life. A new way of living ensues as this awareness perceives and acts directly, engaging each situation and disregarding our hidden likes and dislikes. Staying the course a little, one experiences significant lightness within as the content of our mind’s burden is thought and it is gradually diffused. Still one knows that danger lurks deeper and now sees clearly that its interference must not happen and one’s resolve to stay the course deepens to the degree of relentless perseverance where one is ready to pay any price along the way. 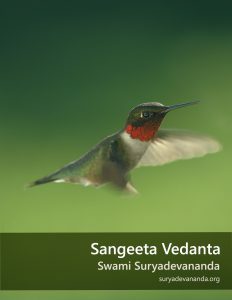 Vedanta deals with the indivisibility of all things, you and me included. Systemized much later, in the earlier stages it was merely a dialogue or series of dialogues between master and disciple that took intellectual doubts to their logical conclusion and hence, ended learning. This laid the foundation for deep contemplation and direct realization. Direct realization must happen! – or we are left with concepts, mere words that do not have the power to bring inner clarity. Through the words, you are learning about yourself and therefore, study of vedanta is the study of the self in stages, culminating in direct experience. Songs have a unique way of driving home points that are diffucult to grasp or elusive, as they are not limited by the rules and structure of language. Songs use language but are not used by language. What the finger is pointing to is more important than the finger itself. 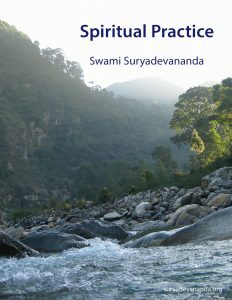 I have discovered this in the Inspiring English Philosophical Songs of Swami Sivananda, and this work is offered in the humble footsteps that follow this inspiration. The tune is simple and the rhythm is set to a four line verse for symmetry. Where it was felt to have five or six lines, I have indented them so it cues you to follow the same tune as the earlier lines so that the next verse may begin afresh. One does not need any singing ability or talent for these songs – as the message is the music! The first few times you may find yourself concentrating on the words and tune, on the singing. If you continue without becoming mechanical, you will find yourself listening to the words of the song which is being sung. If you continue and stay alert, you will then find yourself contemplating of the meaning of the song which is being sung and heard. If you are determined and ever alert, finally something wonderful happens! – will find yourself meditating on that which the words point to while the song is being sung and listened. 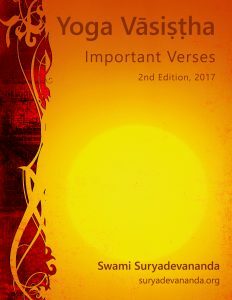 I have found singing Swami Sivananda’s English Philosophical Songs to be the best meditations and have been immeasurably inspired by them. The essence of all teachings is contained in his magnificent songs. Simplicity of mind and heart is needed, together with discipline in regularity of effort till it becomes natural – not the singing, but all that follows as a result. 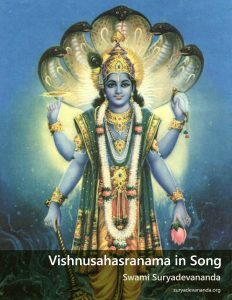 It is very significant that the Vishnusahasranama was given as an answer to the questions of Yudishtira by the great Bhishma at the end of the Mahabharata war. The only enemies are the ones within—in our own minds and hearts. It is only after the inner war is won that the field is fertile to cultivate the new. In the Katha Upanishad, the great master Yama instructs the most worthy disciple Nachiketas: “Arise. Awake. Staying awake, go to the master and get instruction, or have your doubts cleared.” Yoga insists on self-control and self-restraint before the other steps of restoration of one’s true nature. In jnana yoga, the fourfold qualifications of a seeker are requisite. Scriptures are as wide open as the endless skies and one is free to take from the expanse any meaning one feels to. Rather than studying them as events or even as a dialogue from the outside, I have found it most useful to get into the teachings, as true teachings are timeless—they are eternally applicable. Yudishtira’s six questions boil down to two and then further to one: 1) who or what is the greatest Truth or God?, and 2), what is the highest duty or thing to be done? Bhishma replies to the questions with the thousand names of the Lord instead of an answer that was specific to Yudishtira’s present situation as a king who won a war. The questions may have been specific, but the grand Bhishma’s answer is universal and eternal. Like the sun, the mighty Bhishma radiates God’s Nature and Glories through the Vishnusahasranama or thousand names of God. 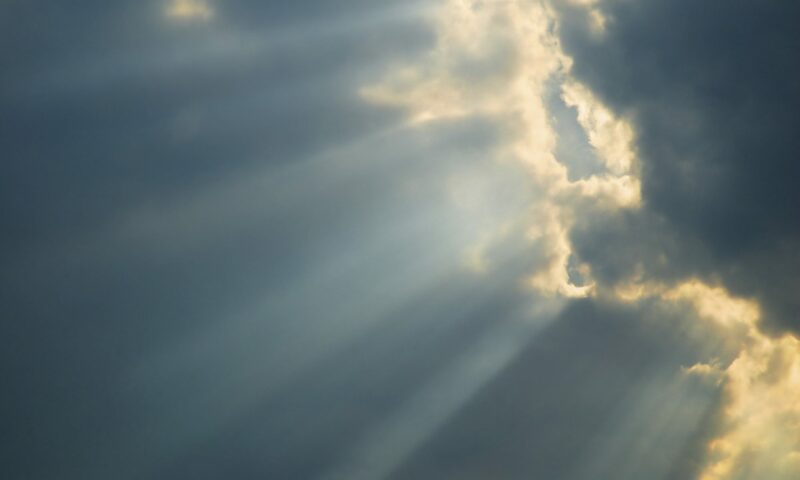 Startling it is somehow to grasp how the life struggles of ancient times as portrayed in the Upanishads, the Bhagavad Gita, in all of the scriptures, and in the writings of the sage Bharatrihari, pertain—in precise detail—to this very moment of our struggles and concerns. 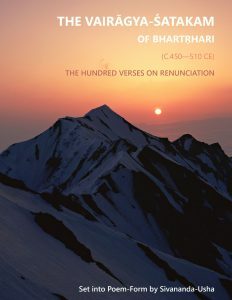 In the hundred poems of Bharatrihari, paying homage to Shiva, the Light of Knowledge, at the very outset, are reiterated the maze of entrapments of earthly life and their consequences—all the while he beckons us towards discrimination, meditation, and ultimately transcendence—that we may take up the glorious way of the wise, like the sage who knows the ‘bliss of self-possession’ and ultimately merges in the Supreme Brahman.